And it was love at first bite. Let me start with my most memorable experience at Pub.liq Gastropub. It’s the steak. The Australian Ribeye Steak was prepared with perfection. Medium-rare. Juicy. Tender. The rich beefy taste exploded in my mouth. It made everything go in slow motion. Not just that, the garlic, butter and gravy transformed the blending of flavors into one gastronomic celebration. It’s also served with vegetables and mashed potato (or rice). Pub.liq Gastropub’s a great place to chillax in Quezon City. Great view from the rooftop, great live band music, and of course, great food! It’s located on the 10th floor of Ignacia Place, Mother Ignacia cor. Sgt. Esguerra St., Quezon City. Pub.liq Gastropub is the result of a delicious collaboration. Tin Licudine and Iza Sarmiento of Rustic Box Steakhouse, and Gillian Hizon of Milkshake Lab, teamed up and all their delectable masterpieces are served here. The Ribeye Steak Bites Ala Pobre are tasty soy-marinated steak cubes embraced with garlic. It’s perfect with rice. The all-time favorite sisig comes in a new form as creamy and spicy Sisig Con Pasta. I highly recommend this. It’s packed with flavor and heat. For burger lovers like me, here’s a classic that comes with bacon. Bacon is so delicious because of its distinct flavor and the salty, sweet and umami taste. The Classic Bacon Burger will always be a winner. 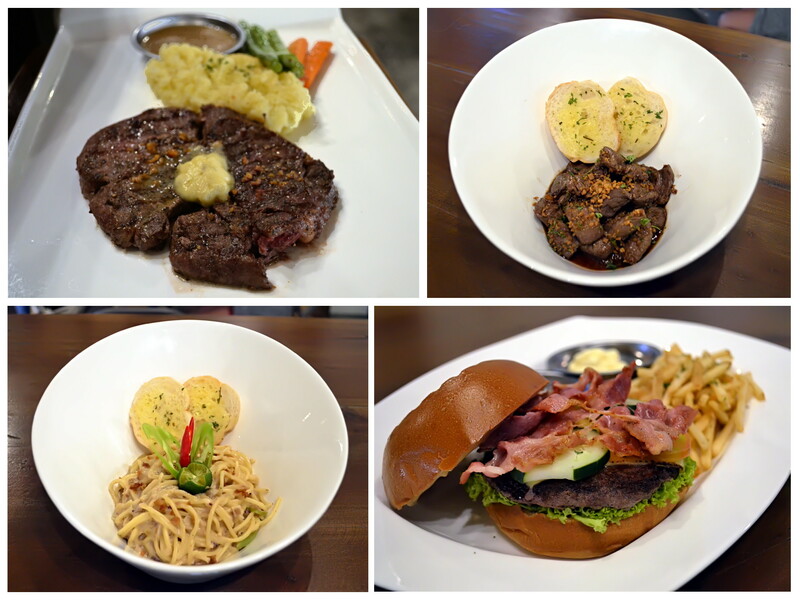 These four dishes are also served in other Rustic Box Steakhouse branches. Rustic Box Steakhouse is owned by partners Tin & Iza. They started with one container van food park stall. They now have several branches including stand alone full restaurant stores. They are open for franchise, just calll 09778403818 or email [email protected] for more information. Milkshake Lab is open for franchise and has several branches too.